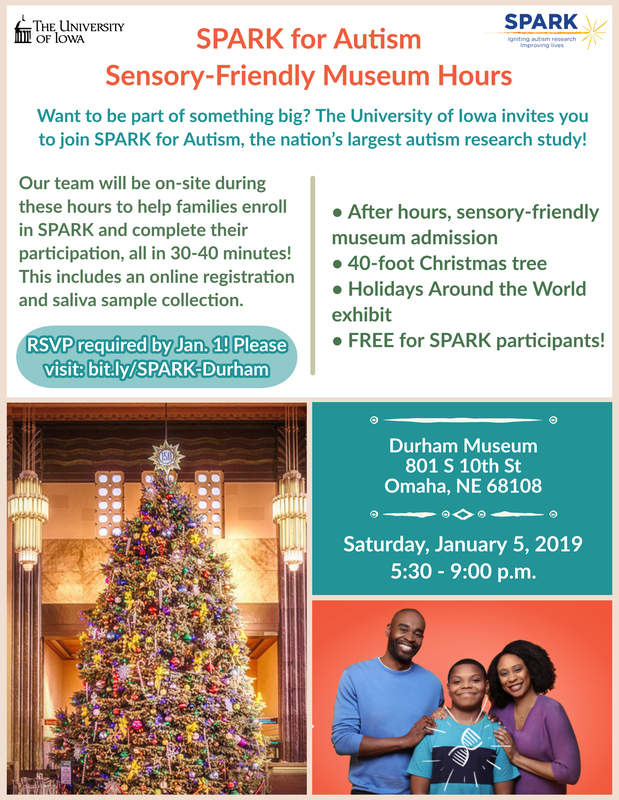 SPARK at the Durham Museum of History! In order to attend, you or a family member must have a diagnosis of autism and RSVPs are required for admission! To RSVP, please click here and fill out the form; you'll get a confirmation that will be required to enter the museum during this event's sensory-friendly hours. The process to enroll in SPARK should only take 30-40 minutes, so there will be plenty of time to enjoy the museum during this evening.